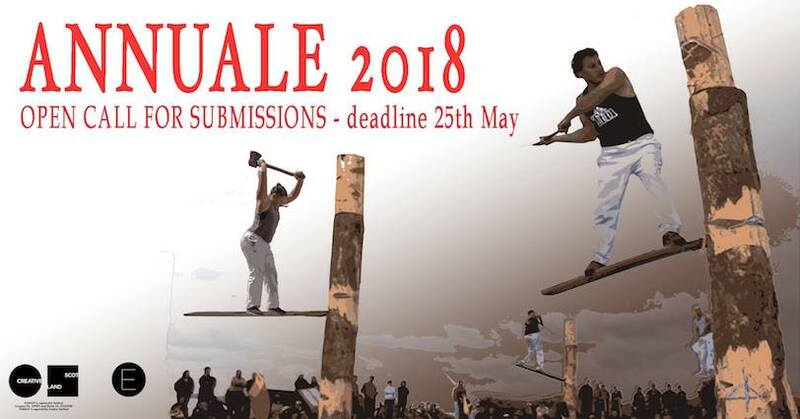 Annuale is a grassroots festival of contemporary visual art coordinated by EMBASSY Gallery taking place in venues across Edinburgh and online. Annuale 2018 will take place from 15/06/18 to 01/07/18. To have your exhibition or event included in the programme please fill out an online application form at: goo.gl/qjbwy6 by 25/05/18. Any further supporting documents can be emailed to annuale@embassygallery.org with your name and event title clearly stated in the subject header. Application for exhibitions/events occurring exclusively online will also be accepted with links to relevant material provided on our website. All proposals will receive equal promotion. For more information on past incarnations, please visit annuale.org.